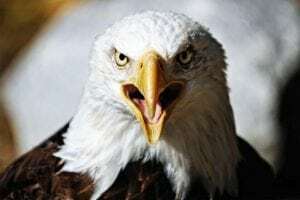 A Shawnee, Crying Eagle was born and raised in the wild woods of what was once the Northeastern States of America. Learning to hunt and survive within the woods as every brave of the tribe is expected to do, he was noted for skills in living off the land, though he was often known to be watching the eagles soar far overhead. As he came of age, he went on a vision quest and soon sought out the highest peaks possible. His visions kept encouraging him to find a way into the Realm of the Near Sky, and once he had reached as high as he could, he performed a ceremony to refine his vision. In that vision, he saw himself turning into an eagle and soaring over the land, flying over the tribe's lands, and seeing that which had always been just beyond his vision. At the end of his quest, he chose to become one with the Eagle Spirit and thus gained the power to enter the Realm of the Near Sky at will. At one with the Eagle, his vision turned beyond the needs of his tribe and he has taken to roaming the lands, hunting down those that disrupt the Circle of Life and help those who try to live in balance with nature. He shares his spirit with his totem animal, the Eagle. He travels the wilderness, serving his totem and the Circle of Life. Invoke: Calls upon the Spirit of the Eagle for strength, attack, and defense. Compel: Listens to the guidance of the Eagle, even when it counters his own views. Descendant of Ancient Native Americans and avid adherent of traditional beliefs. Does not believe in 'White Man Magic', seeing it as a corruption of the Circle of Life. Invoke: Avoids any use of technology, including firearms and blades made of steel. Compel: Will risk his life instead of corrupting himself by the use of 'White Man Magic'. Able to travel freely in the Middle Realm (the land) and the Realm of the Near Sky (the Sky). Gains animal-like psionic senses. Invoke: Able to turn into an Eagle and fly through the sky. Compel: Conditions must be suitable for an Eagle to fly, and not in normal human form. Empowered by totemic magic, you wield power that normally comes only of otherworldly birth. They call others ‘Mind Melters’ or ‘Zappers’. They say they can alter the world with a thought. Your power isn’t quite like that. It’s more focused. And yes, it’s a bit weaker but it’s no less useful for all that. You still have to deal with the fallout when certain kinds of people find out that you’re psychic. Though it does tend to be a bit easier for you to escape notice. They’re looking for the big fish after all. You may use Will to activate psychic disciplines, but suffer a -1 penalty when doing so. You gain an exotic stress track with only one box. You may select two psychic disciplines of your choice from either the Sensitive, Physical or Healing themes. Both must be from the same theme as must any other purchased disciplines. You have an almost preternatural capacity for detecting danger. Your Notice skill works unimpeded by conditions like total concealment, darkness, or other sensory impairments in situations where someone or something intends to harm you.